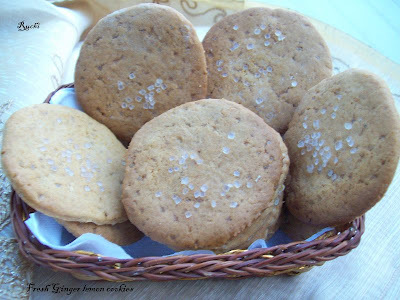 The Fresh lemon ginger cookies are treats those who like sour, sugary, tangy with spice.I love ginger, lemon& honey. 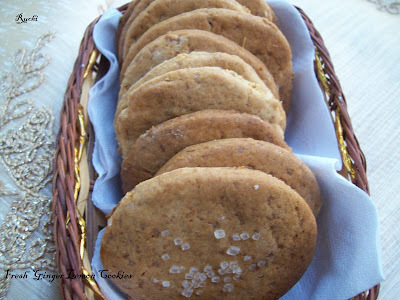 Honey and lemon is always so soothing and the lemon and ginger really shone through and complemented each other well ;and in these cookies the honey was delicately lingering in the background... Well to be honest the ginger cookies turned out soft and lovely balance of crispy and chewy and full of ginger & lemon aroma with spicy flavor. 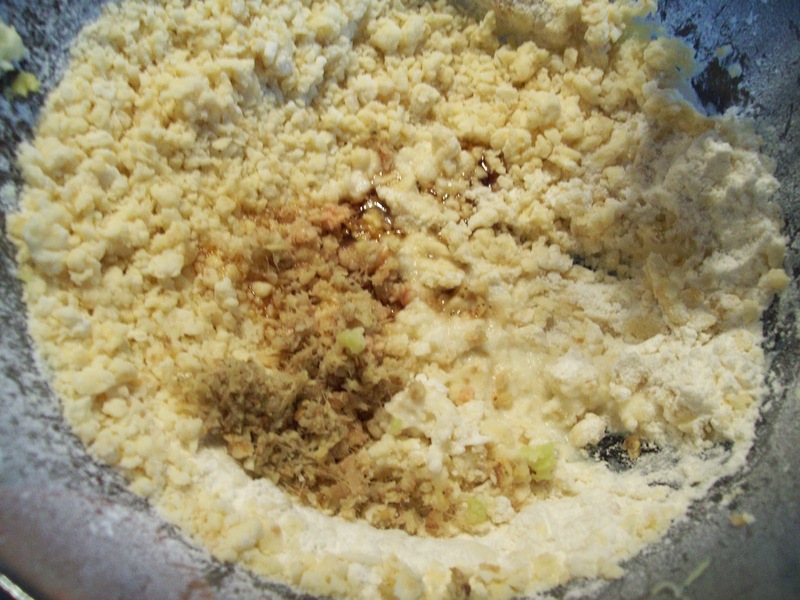 2.Add the flour, baking powder, ginger, baking soda and mix until well combined. 3.Cream the butter together with the sugar and honey until light and fluffy. 4.Grate in the lemon zest and finely chop the ginger and add to the bowl along with the lemon juice and ground ginger. 5.Add the flour and beat together until all incorporated. knead to a smooth dough. 6.Flatten then slightly using the palm of your hand and place on the baking tray. 7.Bake in the oven for 12-14 minutes until they are golden brown in colour. 8.Allow to cool before storing in an airtight container.Enjoy with Hot Tea or Coffee. 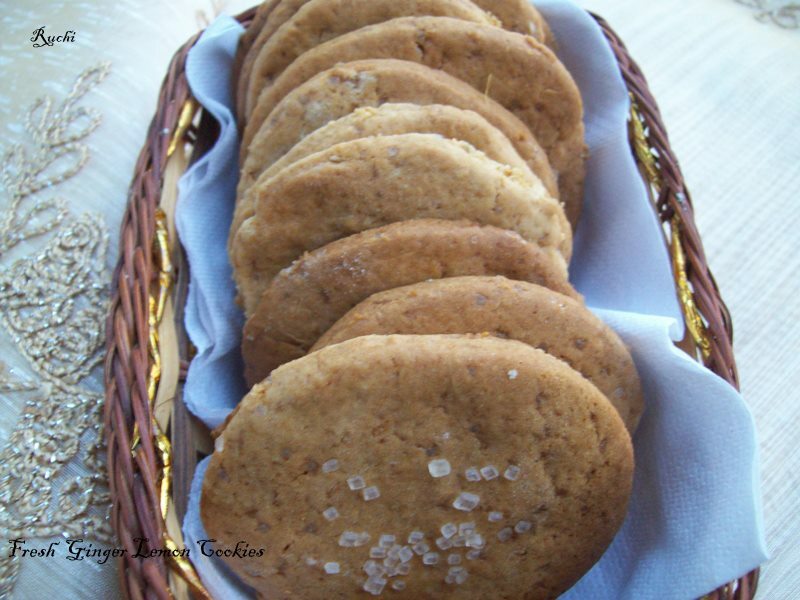 Wow love the ginger and lemon addition in this cookies,Scrumptious cookies definitely. thanks so much for linking to my event. :) The flavor combo sounds wonderful! Lemon and Ginger - Classic combination! :-) These cookies take me right into the festive season,reminding me so clearly that Christmas is here! I have a little question. "Grate in the lemon zest and finely chop the ginger and add to the bowl along with the lemon juice and ground ginger." Did we add the ginger twice?Because I see only ground ginger in the ingredients.Thank you.